This page shows our upcoming events. For further information, email gk@kofc3523.org. Once again we have volunteered to provide St. Justin's Catechumens breakfast on Holy Saturday, April 20th. We expect 40 - 50 guests, with a more accurate count a few days before the breakfast. We need to be ready to serve the breakfast around 8:00am. We need 6 to 8 people to help set up, cook and server the breakfast. For cooking, we need 2 volunteers cooking pancakes, 2 for sausage & fruit, 2 for cooking eggs, and the rest of us to setup the tables, and fill in the gaps. The council has one electric griddle, but we need a second one, so let us know if you have an electric griddle you can bring with you. We will need 4 - 6 people to serve the breakfast. We will also need 2 - 3 people to do the clean up, which should take about 30 minutes. For us as Knights, charity is a duty. Serving others is how we show our love for Christ and His love to the world. Thank you in advance for sharing the love of our Lord and Savior with these new brothers and sisters in Christ. If you can help, please email fs@kofc3523.org, or call Tom at 408-483-7743. You are cordially invited to the exemplification of the Formation (2nd) Degree at Holy Family Parish on Saturday, May 4th, 2019. All Admission (1st) Degree members in good standing are encouraged to attend this exemplification.degree. Note: Representatives of sponsoring councils should remember to bring new Formation (2nd) Degree Travelling cards for their candidates. You are cordially invited to the exemplification of the Knighthood (3rd) Degree at Holy Family Parish on May 11, 2019. Dress code: Business casual. All candidates must be properly dressed with collared shirts and slacks. Blue jeans, shorts and T-shirts are not allowed at the ceremony. Candidate sponsors: Each candidate must be accompanied by one or more sponsors to the ceremony. Lunch will not be served but light refreshment will be available after the ceremony. Please send the names of eligible candidates from your councils to Andy Dyson ((adysonjr@comcast.net) and Eugene Okafor, (gene_okafor@sbcglobal.net. 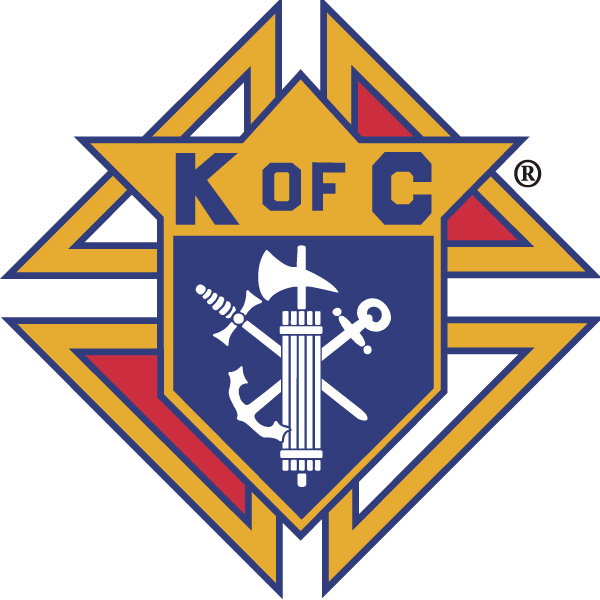 The Knights of Columbus, Fr. Joseph Geary Council 3523 of St. Justin parish will have their annual picnic. We invite all parishioners, Knights and their families & friends to the picnic on Sunday, July 28th from 11am - 3pm at the Arbor Picnic Area "A" at the Central Park. The Knights of Columbus will supply hamburgers, hotdogs, fixings and drinks. Please bring a side dish or dessert to share.